Colorado Springs, Colorado, has a fine selection of off-leash dog parks and dog runs, as well as a number of options where owners can easily bring their dogs on leash. Owners are required to abide by the rules of the dog parks. The Palmer Park Dog Park is a fenced-in off-leash dog park that has benches. It is located on an old baseball field that has two logs in the middle for dogs to play around. The remainder of Palmer Park is over 740 acres, which are full of beautiful rock formations and 25 miles of hiking and biking trails. Dogs must be on leash to explore the rest of the park. 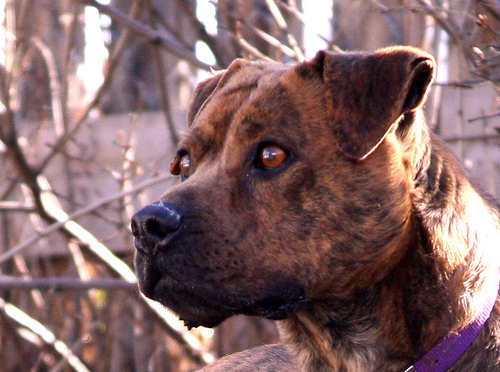 Yucca Flats is an off-leash walking trail located in Palmer Park that is not fenced. The Garden of the Dogs Park Off-Leash Area is a small, unfenced area where dogs are allowed to roam. Dogs are required to be on a leash less than 6 feet in length if they want to explore the rest of the park, which has beautiful rock formations to look at, as well as a network of trails to navigate. Rampart Dog Park is a fenced-in off-leash area with benches and water spigots, and it is located east of the baseball diamond. There are nearby restrooms as well. 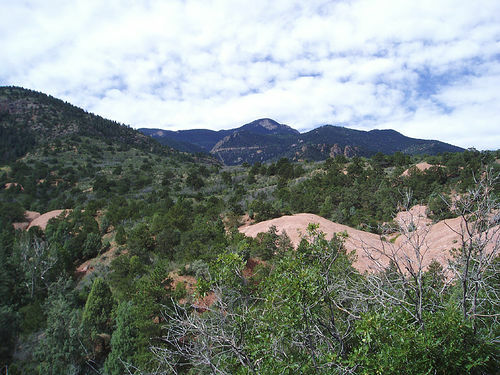 The Red Rock Canyon has two off-leash trail loops, and they make up about 5/8 of a mile. For the rest of the trails and the picnic areas, dogs must be on leash. 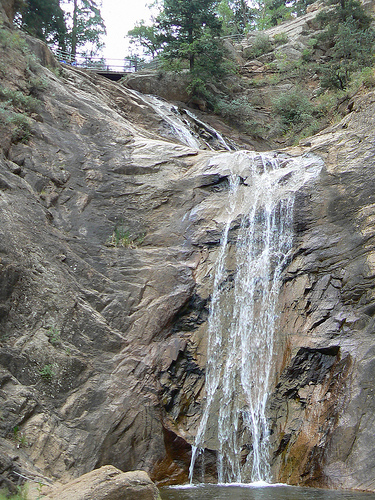 Seven Falls is a park outside of Colorado Springs that is full of scenic waterfalls, hiking trails and picnic areas. Leashed dogs are allowed to explore this area with their owners. Humans must pay to enter.